A dedicated mobile app would further improve the experience. Small, lightweight, and relatively simple to set up, the TruSense GPS Pendant allows you to keep an eye on an elderly loved one who's infirm or otherwise in need of assistance. 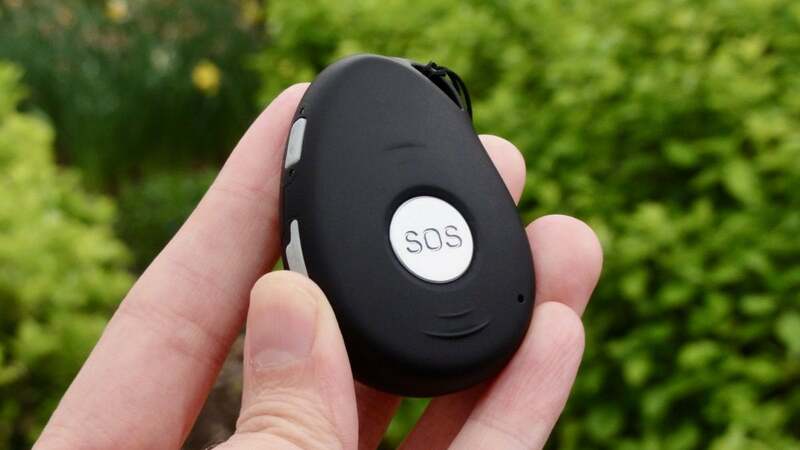 But while caregivers will appreciate the pendant's SOS button and fall detection, they'll be frustrated by the lack of a true mobile app to go with it. Measuring about 2.5 x 1.75 x 0.6 inches and weighing about 1.5 ounces, the TruSense GPS Pendant is about the size of a car key fob. It comes with both a lanyard and a padded Velcro wrist strap. Wearing the pendant around your neck takes a little getting used to, but it doesn't get it your way while walking around the house or taking a neighborhood stroll. You can even wear the waterproof pendant in the shower, although you should probably take it off before doing any laps in the pool. The TruSense Pendant comes with both a wrist strap and a lanyard. On the pendant itself is a power button, a USB charging port (which is hidden beneath a flexible plastic flap), and two tiny blue and green LEDs that indicate charging and signal status. A compact charging cradle and USB cable are included in the box. The TruSense GPS Pendant itself costs $129, or $49 if you pay for a year's worth of service up front. On top of that, you'll also have to shell out $25 per month for a service plan, which includes unlimited GPS tracking and two-way calls with the TruSense Emergency Response Center. To pare down the monthly bill, you can opt for a three-month plan at $22.50 a month, a six-month subscription at $20 a month, or a year-long plan for $17.50 a month. The first-time setup for the TruSense GPS Pendant is a relatively simple process. Inside the packaging is a card with an eight-digit registration code. Once you’ve created an account on the TruSense website, you just input the code, then add the name, address, and phone number for the person who will be wearing the pendant. Next, you type in the information for the wearer’s emergency contact person (either you or someone else), then enter a credit card number for billing purposes. Finally, you turn the pendant on, put it in its charging cradle (which, incidentally, will automatically turn on the pendant the moment it begins charging), and press a Begin Activation button on the TruSense website. Assuming you have a good cellular signal at home, the activation should only take a few minutes. The TruSense GPS Pendant reports its location every few minutes or so, which you can view on a Google-powered map via the TruSense website. 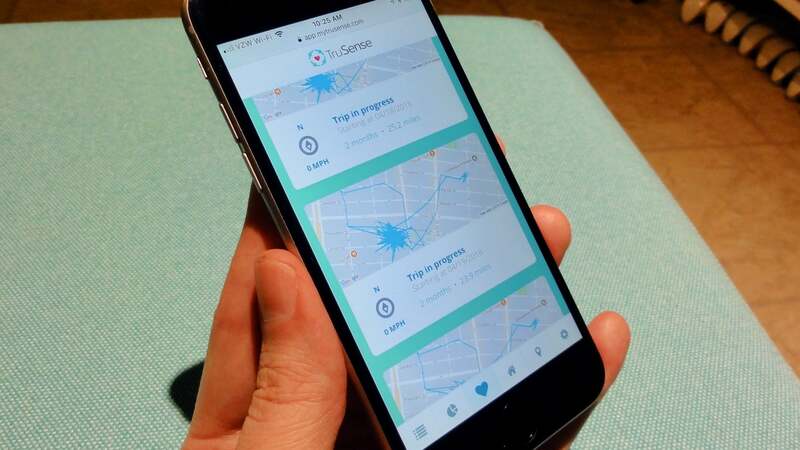 Once logged into the TruSense web portal, you can view the device's current location, details on its battery life and signal strength, a log of recent trips, and whether the device is sitting in its charger. You can also set up geofences around an unlimited number of locations, and you can set the TruSense service to notify you and/or another caregiver via SMS or a phone call whenever your tracked loved one arrives at or leaves a designated location. In addition to tracking the pendant's current location, the TruSense portal keeps a log of trips that the device has taken. That's a handy feature for keeping track of a loved one's comings and goings, but it can also lead to unintended consequences in iffy cellular coverage areas. During my testing, the Previous Trips log became cluttered with dozens of trips, each spanning anywhere from 150 to 300 feet. The culprit: The spotty cellular service in my apartment, resulting in herky-jerky location readings that fooled the pendant into thinking it was in transit. The TruSense web portal displays the currrent location of the GPS pendant, along with a log of previous trips. A bigger problem is the lack of a true mobile app to go with the TruSense pendant. 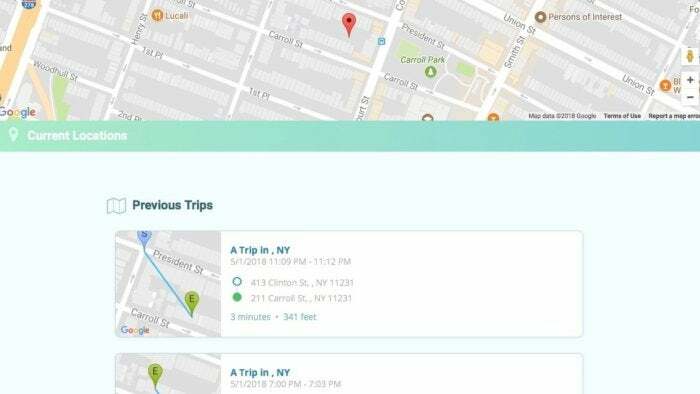 For now, those tracking loved ones with TruSense on an iPhone or Android phone will have to do so on a browser. (Luckily, the TruSense site is mobile-friendly.) We'd much prefer a native mobile app that allowed for notifications and more stable performance. A TruSense rep told me the company is indeed working on a mobile app, although it won't arrive until later this year. The TruSense GPS pendant features a large silver 'SOS' button. Press and hold the button for three seconds, and the pendant will connect the wearer to TruSense's 24x7 emergency response team. Using the pendant's built-in speaker and microphone, the pendant user can talk to the responders and tell them if they need help. If you enable an optional setting, the TruSense monitoring center will contact paramedics if the pendant wearer doesn't respond, and they can't reach any of the designated emergency contacts. The pendant also comes equipped with a fall detector, which alerts TruSense's emergency team along with any caregivers you've designated if the device thinks your loved one has collapsed. While the fall detector is a reassuring feature for those with elderly parents living alone, it's also prone to false alarms, particularly if you accidentally drop the pendant. Of course, if the pendant does happen to slip through your fingers, you can simply tell the TruSense response team via the device's built-in microphone that you're OK.
For more detailed information about what's happening at home, such as whether the friend or loved one you're tracking is actually wearing the pendant, or if they've been in a particular room at home for an worryingly long time, you'll need to pony up $300 for the TruSense Home Starter Kit. The set bundles an Amazon Echo Dot with a series of motion sensors, wall outlets, and contact sensors. As you might expect, it comes with a pricier monthly subscription plan that starts at $28 a month. 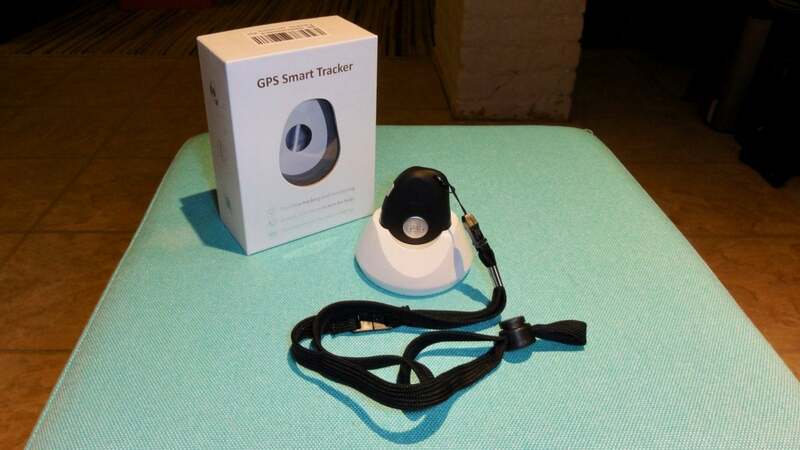 The TruSense GPS Pendant makes for an easy, relatively inexpensive way to keep tabs on an elderly loved one, but the experience of using the device would be greatly improved by a dedicated mobile app. For now, you'll have to make do with its mobile web interface's sometimes spotty performance. The TruSense GPS Pendant makes for an easy, relatively inexpensive way to keep tabs on a elderly loved one who's living alone, but the lack (for now, anyway) of an accompanying mobile app is a frustrating omission.